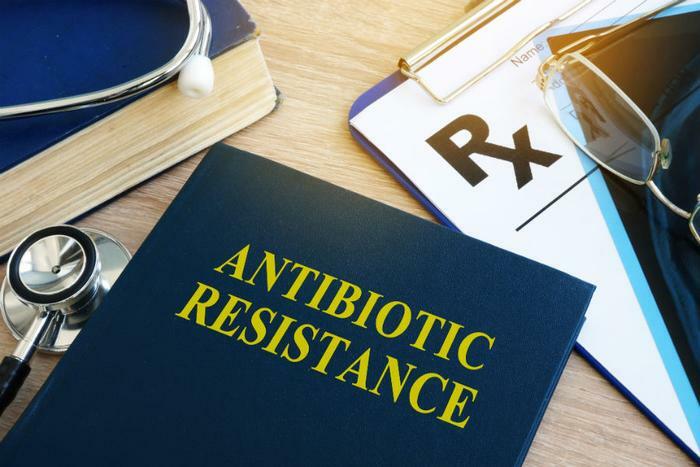 The Food and Drug Administration (FDA) is responding to criticisms that it has failed to reign in the overuse of antibiotics on factory farms. In a new statement, the agency is calling for “stewardship” and the creation of “some new programs.” What those programs may actually entail remains unclear. Warnings that antibiotics will lose their potency if they are overused date back to the scientist who invented penicillin, though even he likely couldn’t have predicted that the meat industry would one day dose entire herds with the drugs on a routine basis. Researchers say that thousands of people already die every year from antibiotic-resistant infections, which they link to overuse in both medical and agricultural settings. Specifically, Gottlieb says that the FDA will publish a blueprint “shortly” that will detail more specific plans that the agency will take over the next five years. The language in Gottlieb's statement suggests that he will avoid pushing for more regulations, with a focus instead on existing programs and the “progress” he says his agency has made. “We are also developing and advancing new strategies for promoting antimicrobial stewardship in companion animals,” he added. Whether companion animals are over-prescribed antibiotics has never been a focus for environmentalist and public health groups. Instead, they have pointed to the agriculture industry, where years of research has suggested that antibiotics are routinely used to fatten-up herds. (The meat industry has countered that they use the antibiotics for “disease-prevention” purposes). In 2013, the Obama administration announced it was taking “the first significant step in dealing with this important public health concern in 20 years” by requiring farmers to obtain what is essentially a vet’s prescription before purchasing antibiotics from the animal feed store. Despite the new law mandating veterinary oversight, little has changed since then, according to the Natural Resources Defence Council (NRDC). A report that the group recently published found that 27 percent of all medically-important antibiotics, or antibiotics that humans use, went straight to pigs last year. "What constitutes veterinary oversight is a huge grey area,” NRDC researcher Dr. David Wallinga said. Another report recently published by the Environmental Working group describes an increase of antibiotic resistant-bacteria in samples of ground beef and pork chops they tested. In a statement, the NRDC called on Gottlieb to take more concrete action. “To keep these miracle drugs working when sick people and animals need them, FDA must end the widespread practice of using these drugs for so-called ‘disease prevention’ and set clear targets for antibiotics reduction in the industry,” the group said. The FDA’s announcement comes shortly after the United States Department of Agriculture (USDA) said that it would not follow the World Health Organization's (WHO) guidelines that similarly call for stringent cutbacks of antibiotics on factory farms. “The WHO guidelines are not in alignment with U.S. policy and are not supported by sound science,” the USDA’s acting chief scientist said.